Change things up with these side-trips from Sydney: Norman Lindsay Gallery & Museum (in Faulconbridge), Katoomba (The Three Sisters, Echo Point Lookout, & more) and Leura (The Nook, Everglades Historic House and Gardens, & more). Spend the 8th (Fri) exploring nature at Sydney Harbour National Park. Spend the 10th (Tue) exploring nature at Blue Mountains National Park Glenbrook. 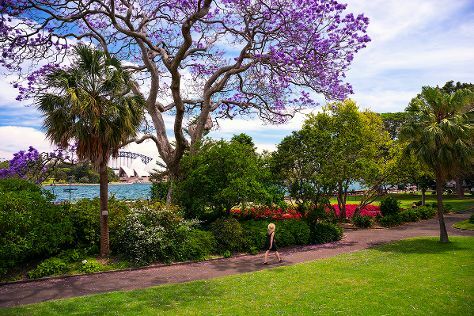 And it doesn't end there: take in nature's colorful creations at The Royal Botanic Garden, wander the streets of Darling Harbour, enjoy the sand and surf at Manly Beach, and catch a live performance at Sydney Opera House. To see other places to visit, where to stay, and other tourist information, read Sydney trip planner . If you are flying in from United Kingdom, the closest major airport is Sydney Kingsford Smith International Airport. In November in Sydney, expect temperatures between 29°C during the day and 19°C at night. Cap off your sightseeing on the 13th (Fri) early enough to travel back home. On the 14th (Sat), trek along Kuniya Walk, then explore the activities along Mutitjulu Waterhole, then take in the dramatic natural features at Uluru, and finally tour the pleasant surroundings at Uluru Hiking Path. On your second day here, head outdoors with Walpa Gorge, take in the awesome beauty at Kata Tjuta, and then go for a walk through Field of Light. 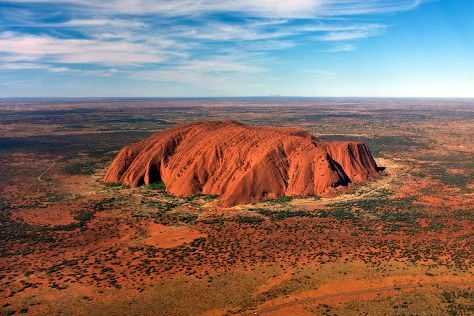 Inspirock's itinerary builder makes planning a Uluru-Kata Tjuta National Park trip simple and quick. Traveling by flight from Sydney to Uluru-Kata Tjuta National Park takes 5.5 hours. Alternatively, you can drive. When traveling from Sydney in December, plan for a bit warmer days in Uluru-Kata Tjuta National Park, with highs around 42°C, while nights are about the same with lows around 24°C. On the 16th (Mon), wrap the sightseeing up by early afternoon so you can travel back home.